Original Obscure Recordings back again — and better! Well, we’re pretty chuffed here at the EMC. Gavin Bryars has made a Herculean effort and has brought out two of the original Obscure Records recordings, struck from the master tapes onto CD. The first CD is Gavin Bryars’ Jesus’ Blood Never Failed Me Yet and The Sinking of the Titanic. 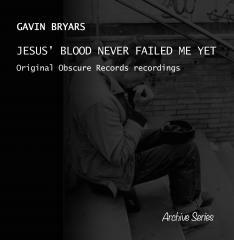 Originally recorded on Obscure in 1975, this is part of Gavin’s GB Recordings Archive Series. You can find it on Gavin Bryars’ website: http://www.gavinbryars.com , on Amazon, and the usual places for CDs and downloads. 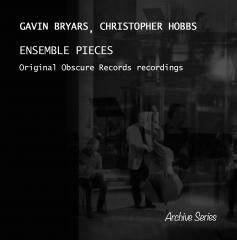 Also available is Gavin Bryars and Christopher Hobbs, Ensemble Pieces. This record is a compilation of two Obscure recordings, Chris Hobbs’s Aran and McCrimmon Will Never Return, and Gavin Bryars’ 1, 2, 1-2-3-4, from Obscure 2 (Ensemble Pieces), and Bryars’ The Squirrel and the Ricketty Racketty Bridge from Obscure 8 (Machine Music). Both CDs contain the original liner notes and updates, including pictures from a recent revival in London. We’ll have more on this as we receive further news, including provisions for other formats and signed copies. Previous Previous post: News from Ghent….